UNION, Mo. - Vennie H. Dowel,(Pictured on left) 34-year-old white male, previously from Union, Mo is currently at large and has been charged with Burglary 1st Degree and Sexual Abuse 1st Degree. 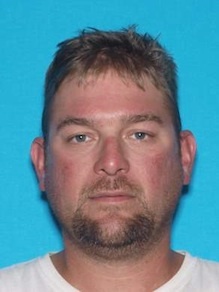 The Union Police Department is asking for anyone with information about the whereabouts of Dowel to contact the Union Police Department at 636-583-3700 or 636-583-2560. Dowel has been charged in a case that began on Sunday May 11 when a 30-year-old female reported being assaulted while working at a store located at 810 N. Church St in Union, Mo. The victim told police the incident had taken place on Saturday and described the suspect as a white male approximately 40 years old, approximately 6'4'' tall and "stocky" built but was not “fat". FRANKLIN COUNTY, Mo. 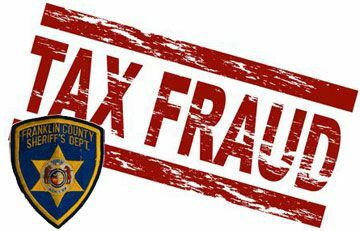 - This morning Franklin County Sheriff Gary Toelke released a statement regarding fraudulent tax filings. Toelke said in the past few weeks his department has received 5 reports of fraudulent income tax filings from citizens living in rural Franklin County. Citizens reported filing their taxes only to find out that someone had already filed a tax return using their social security number or their identity. HERMANN, Mo. 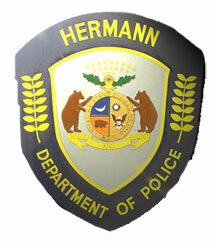 - Last night at approximately 8:45 p.m. officers of the Hermann Police Department responded to a report of a Domestic Assault that had occurred just moments previous at 201 Schiller Street. According to Hermann Police Chief Frank Tennant in a statement released earlier this morning, officers met the victim, a 51 year old female Hermann resident at a location in the immediate proximity where she had fled from her assailant. The victim was transported to Hermann Hospital for treatment of her injuries. The victim had identified her assailant as her 58 year old boyfriend who was at the residence at 201 Schiller Street. Subsequent to receiving information from the victim, officers responded to 201 Schiller Street in an attempt to locate the subject. As the officers approached the upstairs living area, the assailant fired a large caliber handgun at the first approaching officer through the partially open door striking the wall inches from the officer’s head. SULLIVAN, Mo. - Early Monday morning Franklin County Deputies arrested 22-year-old Perry Crawford of St. Clair, Mo. after he allegedly threatened several individuals with a knife at a residence in the 1000 block of East Springfield Road. This morning Franklin County Sheriff Gary Toelke said that deputies had responded of a report of a domestic disturbance involving a knife. After deputies arrived on the scene they were told by individuals that Crawford, who was still at the residence, threatened them with a knife, however Crawford denied the allegations. ST. CLAIR, Mo. - Sunday morning at approximately 8:30 AM, deputies responded to the 900 block of Davis Street outside St.Clair in reference to a domestic dispute. Upon arrival deputies learned that a husband and wife were separated and living apart. The husband was staying elsewhere and had returned to the residence to pick up tools. HERMANN, Mo. - Hermann Police Chief Frank Tennant just released the following statement. 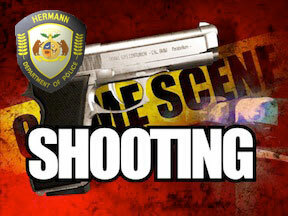 On Saturday, 3/22/2014 at approximately 7:30 pm the Hermann Police Department received a call to respond to an assault that had just occurred in the 200 block of Gutenberg St. Officers arrived at the scene to find three injured males at different locations in that immediate area. All three of the males had sustained injuries as a result of the altercation that they had been involved in. The three, all non-residents of Hermann, were transported to local area hospitals for treatment to the injuries sustained in the altercation, none of which appeared to be life threatening. Pictured left is a photo of Shawn Aubuchon following his arrest. Photo provided by the Union Police Department. UNION, Mo. - The Union Police Department says Shawn Aubuchon was charged for Robbery 1st Degree this morning after holding three teens at gunpoint at the MotoMart gas station in Union, Mo. Sunday night at approximately 8:20 p.m.
Union, Mo - Yesterday afternoon at approximately 3:45 p.m. a female student was assaulted by an unknown assailant in the student parking lot across the road from the theatre stage entrance on the East Central College campus in Union. She was pinned against a dark blue jeep with rust spots before the assailant ran into the woods. Michael Murphy (pictured left) had been on the run since Feb. 18 after breaking into a home and allegedly held victium at gun point. 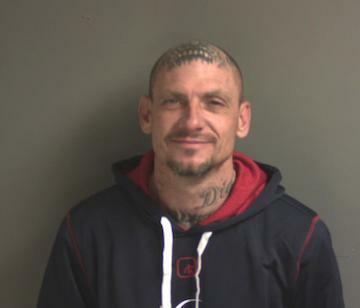 St. Clair, Mo.- Michael Murphy, the suspected wanted in an Assault First case in Franklin County, was arrested yesterday afternoon by Jefferson County Deputies. 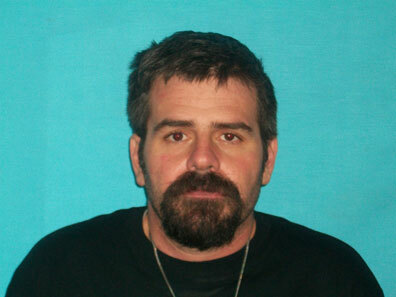 Murphy is accused of breaking in to a residence on Virginia Mines Road during the early morning hours of February 18. 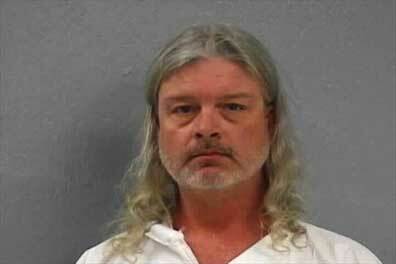 The victim reported that Murphy pointed a handgun at her head demanding money. Murphy allegedly pulled the trigger of the weapon twice but the weapon did not fire. He then fled on foot. Article by KOLR10News OzarksFirst.com in Springfield, Mo. Photos and article courtesy of KOLR10News. 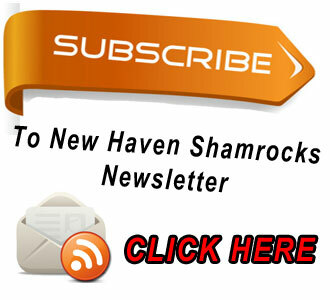 Special thanks to Eunice Fields for allowing us to publish their article. Click here for more on this tragic story. SPRINGFIELD, Mo. -- Springfield police confirm the discovery of the body of a young female inside a house in the 1500 block of E. Stanford. While not positively identified, police have a "high degree of confidence" it is Hailey Owens. "We're now able to confirm that we have, in fact, discovered a young female body pursuant to a search warrant at 1538 E. Stanford," Springfield Police Chief Paul Williams said during an 11am briefing Wednesday. "While she has not been positively identified, we have a high degree of confidence that it is our victim, Hailey Owens."